information about planned and real revenues, costs and operational indicators. It enables easy input, visualization, comparison and enables users to comment on and verify data. 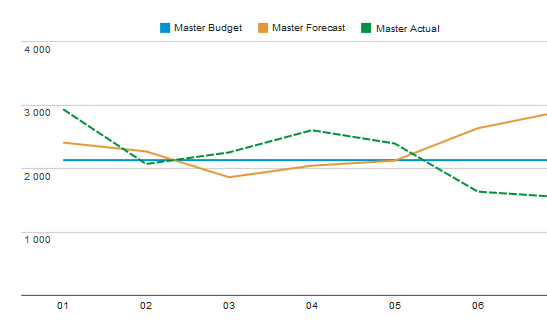 USER-FRIENDLY SETTING AND COMPARISON OF TARGETS, BUDGETS, OUTLOOKS AND REALITY. In just a few clicks you can set the company's targets, work out a thorough plan, and implement your plan. You can evaluate imported closures throughout the year, compare them with the plan and make up-to-date plan revision estimates. Do not bother with the details. Focus only on a few chosen key indicators. Every company prioritizes a different view of data. The system is designed so as to allow you to adapt it while keeping the integrity of all the calculations. You can add whole blocks to forms and they will recognize the format instantly. The color, quarterly division and expansion will be maintained automatically. The system combines currencies and also prohibits editing where inappropriate. 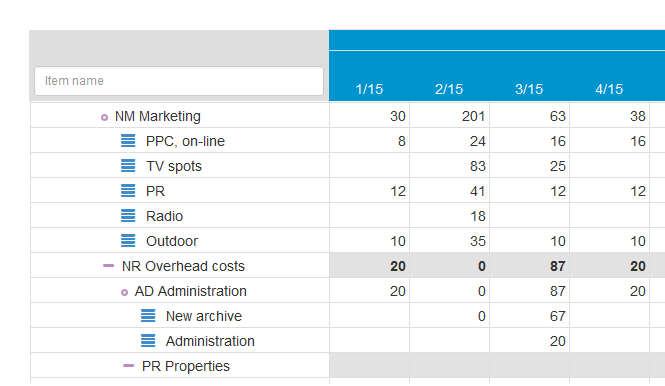 It is similar to the contingecy table from Excel, but with a big difference; FIMIS allow you to edit values in one step. Is there a slump in demand? Or is a new product or service being launched? Simply copy the whole budget. If you change its parameters and you will get the results. In addition, they are completely comparable with different versions at any time. You can see deviations in every affected sum, indicator and parameter immediately. It is hard to recognise a course and differences among figures in a table quickly. With just one click you can view the course of every line and compare it right away with the current plan, last year´s plan or your books, both periodically and cumulatively. 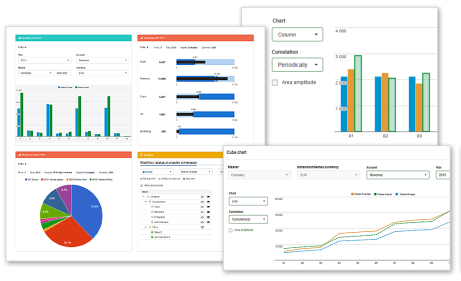 To avoid having to go through forms, group the most important values and graphs into dashboards. The main differences will become apparent instantly, slighter differences are apparent after refining the filters. All team members can comment on values not to forget the most importat thing, i.e. the difference of the value in comparison with the other periods. If it is necessary, turn on approval above a budget. The system will notify everyone by email when it is necessary to fill in plans and whether they have been approved or need reworking. On approval, the plans will no longer be able to be edited so as to prevent changes in the approved data. Just click. No more long formulas which must be copied to hundreds of fields. 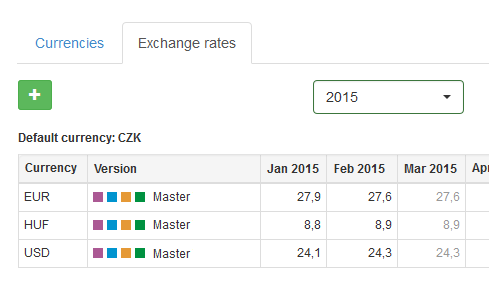 Simply select the versions to be compared and decide whether you want to see the difference or percentage. The system is capable of dealing with zero and infinite numerical expressions. You will therefore get requested values for all lines. In addition, negative deviations exceeding set limits, different for each line, will be reported automatically. Do you create a budget from the bottom up ? Or do you create it from the top down? Do you calculate monthly figures from annual ones? Or you use either? With FIMIS it is up to you. The system keeps the integrity of data regardless of the approach. Not a penny will be lost. 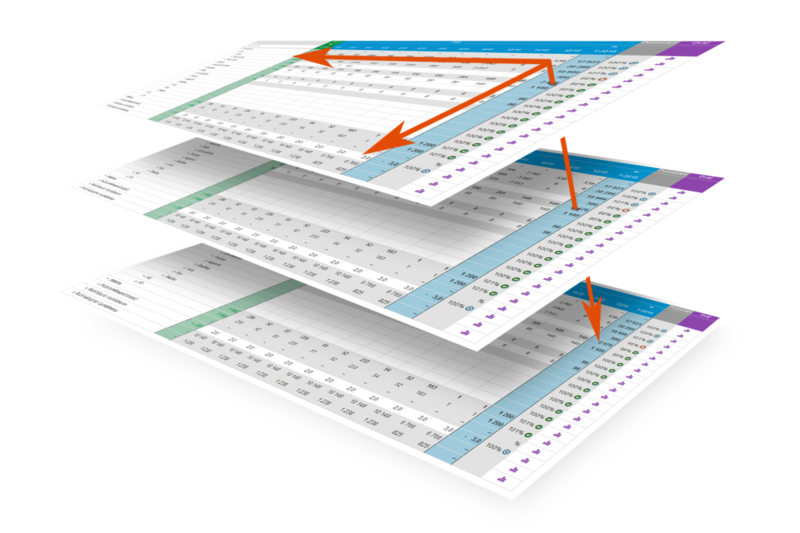 Top-down calculations are of limited use, but sufficient for quick planning. Be sure to try it! Do you require something more than just cost centers? Do you focus on projects, products, and goods? Does your budget include lists of staff, fleet, suppliers and customers? Do you want to group them and organize them by their type? FIMIS is ready to do all this for you! It uses matrices to connect and assess all structures. 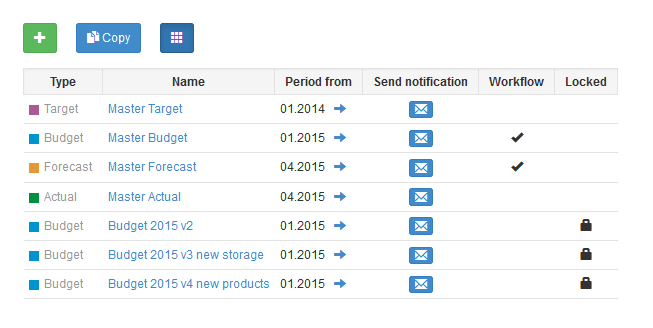 Add the lists into a form, and the system will do the rest. 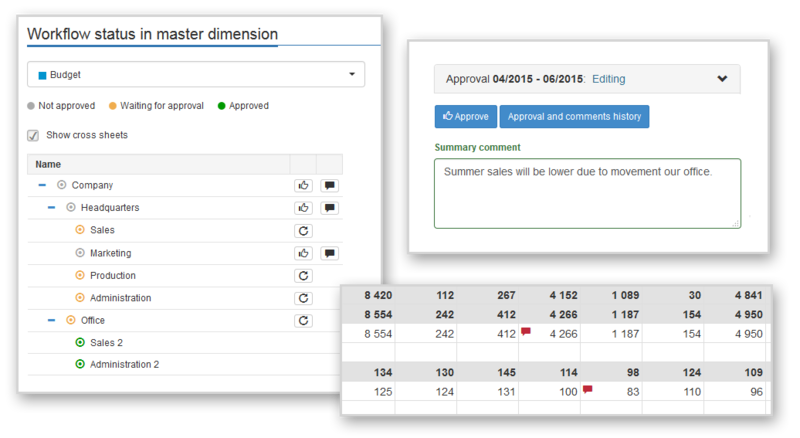 Do you gather information on each department and project separately and then put it together at night to see how the whole company is doing? Or to see the results of the whole holding company? Do you copy and connect thousands of cells without errors? 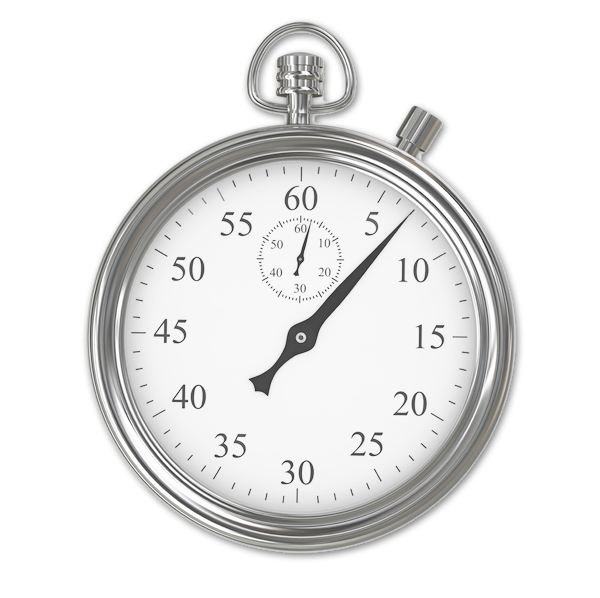 FIMIS can calculate the results of the whole company in seconds. The same results every time. No errors. Have you also noticed that some values in the plan cannot simply be inserted? The monthly costs of stock and staff would add up to a ridiculous sum over the course of one year. 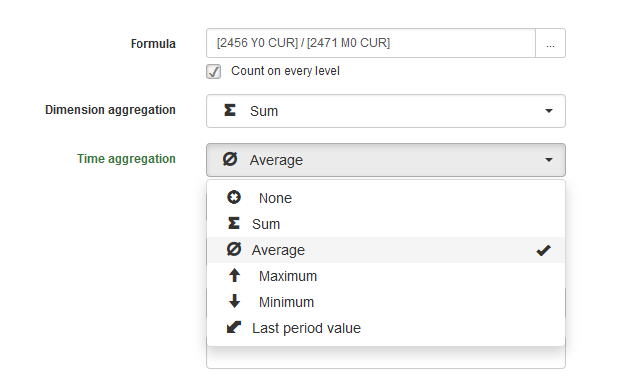 FIMIS can consolidate values automatically in many ways, calculating the sum, average, maximum and minimum of the values. It is also able to transfer the value of the last period. Once you have simply chosen one way, it will be applied in all tables. Your first plan can be designed smoothly in Excel. With a growing number of changes, the updates become more complicated. Items emerge and dissapear and it is necessary to change them in all tables at the same time. 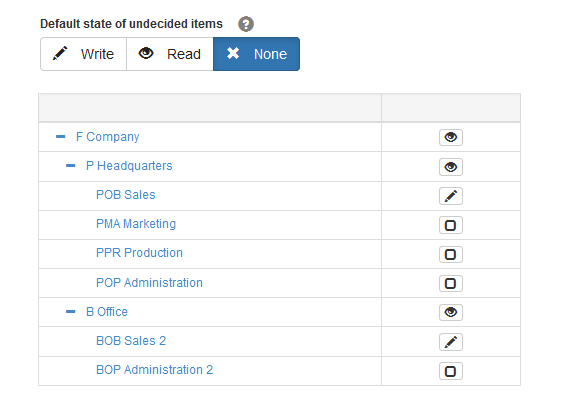 In FIMIS, all you must do is to tick whether the table should include newly added items automatically and whether they will be editable or read only. What if you need an exception for some items? Simply set the desired rules for them, and they will follow the specific setting. Did you plan an overall sum containing more items as stated in a comment, and subsequently the sum changed several times? Finally, after six months, you don't know which items it contained? FIMIS enables the expansion of any item with local subitems contained/comprised in the total sum. The content is therefore clear and evident, always ready for those seeking every little detail. Do you compare renumeration plans with accounts? Are real costs higher than your accounts and remuneration plan? Why is this? The manager himself doesn' t know why. Do you have to search and search for the mistake in your accounts? In FIMIS, only one click is necessary to display a list of booked receipts, including the text and date of the transaction. The history for each and every individual value is logged, showing who changed it, when and how. In the same way, a comment will be stored so that the reason for the change is clear. This eliminates long debates, trying to remember what was changed and why. Even if you edit a different value by accident, you can find out what value was there before and correct it, even after a long time. Need more currencies in your plan? Then you need to make sure that foreign purchases and sales are not affected by the rate, whilst also taking into account whether working with a home or consolidated currency? Would you like to model the currencies as well? FIMIS can do that. You put in values in differenct currencies, which are not changed by the rates and if you need a preview in a unified currency, it will be calculated correctly. STILL NOT ENOUGH? LOOKING FOR SPECIAL FUNCTIONS? FIMIS has selectable authorization, so you can set up not to be restricted by the system at all, divide basic areas in your team or get down to details and authorize individual items for individual users. FIMIS enables you to create a form that allows a delegated employee to work with strictly specified parts of his or her colleagues' budgets without being the data owner. 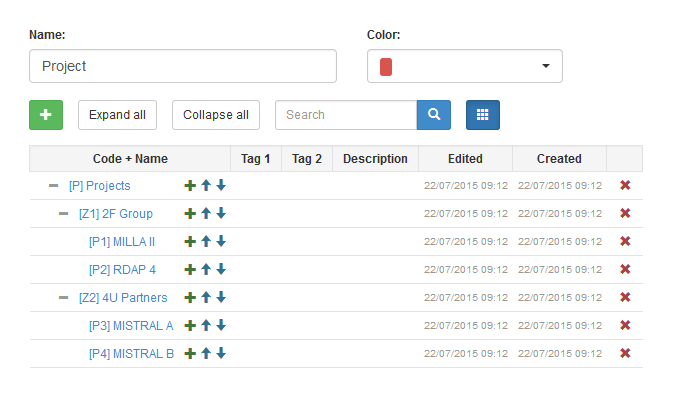 FIMIS can tell whether the imported item is changed or new. The matching provess can be done through names or codes. Every import goes through a set of thorough checks which alarm you to defficiencies immediately. In FIMIS, every import has a smart convertor that can merge several items and input the result to a specific item. It can also migrate and merge to other centers. And the conventor settings is saved for your next use. Those who need to work further with the results can use the export to Excel function. The system allows access only to the part the user is authorized to view. 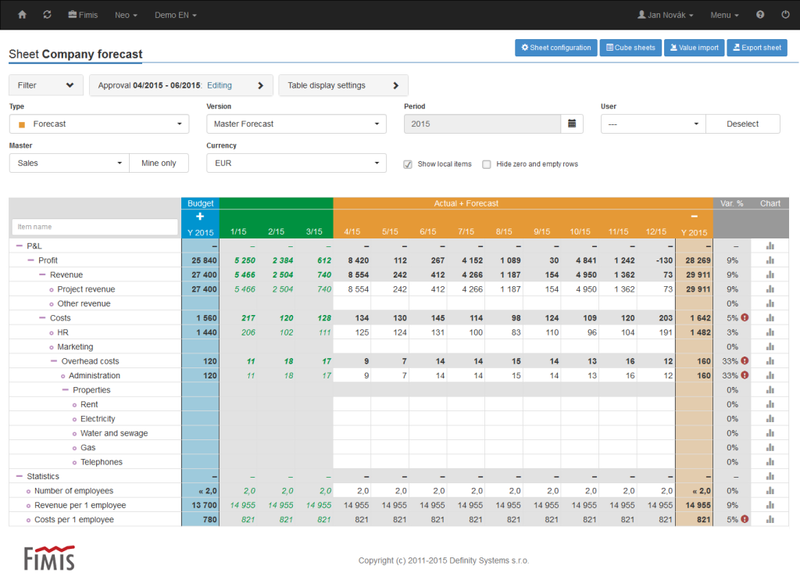 FIMIS allows entering and revising rolling targets, plans and forecasts. 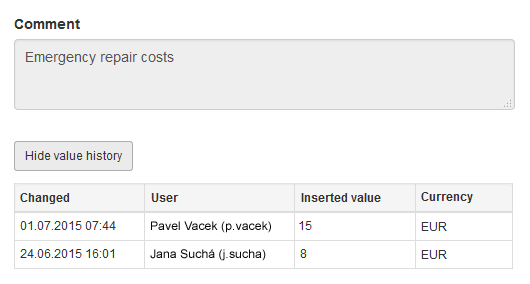 Just select few parameters in a form, all appropirate columns will be added and all suboridnate plans will start rolling. FIMIS enables running more environments and models and to switch between them. For example, the company budget can be put in one model and the business model of penetrating foreing markets to another. The system is based on a combination of the cutting edge SQL and OLAP server technologies, which need a high computing power, which is provided by a cloud data center. Data in FIMIS is completely safe. Tranfers are encrypted and verified with an authorization certificate. It works in a way similar to online banking. If you are at your wits end, our expert will devote their time to you until the problem is solved. They are technicians and programmers who participate in the system development; they know it in detail. Each user can choose in which language the application will run. Table items will be in the language you enter them in. FIMIS remembers what you have set on a pane of a particular form. Even if you log off, you will log in back to the page where you left off. You can continue working immediately.